It is one of the few islands, which has been inhabited continiously since ancient times (end of the 4th millennium B.C.) till today. 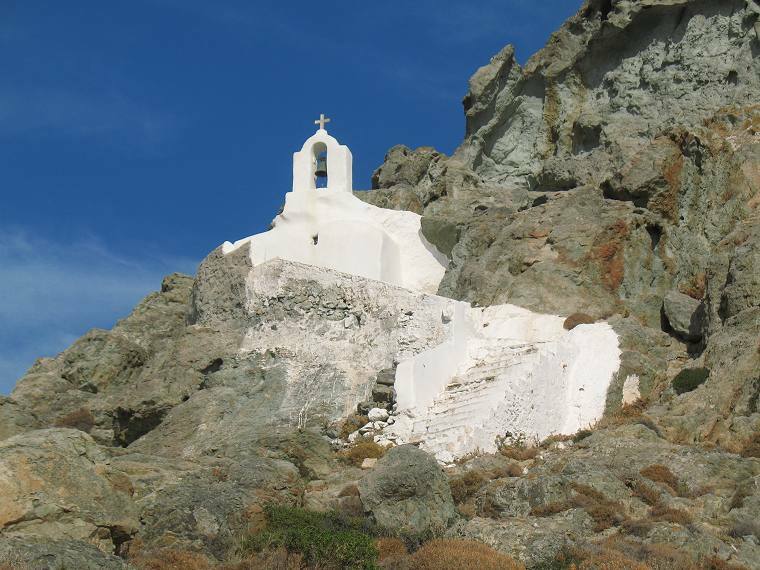 It has been possible to gather information about the history of the Aegean from traces left behind from each historical period, along with unique monuments which are scattered all over the island. The church of Drosiani Virgin near the village of Moni is one of the best-preserved monuments from the early Christian era in the whole of southeastern Europe. It was constructed in three stages starting from the early Christian period. The oldest frescoes are from the 7th century. 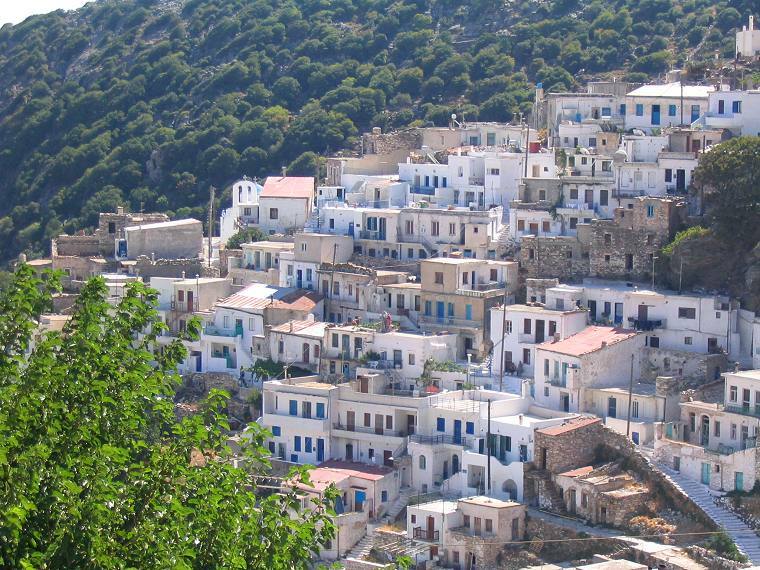 Apeirathos is a pretty village on the slops of Mount Zas at 650 metres altitude and was supposed to have originally been settled by Cretans. The village has its own distinct style, the houses are built from marble. Panagia Apeirathitissa is one of the oldest and remarkable churches of Naxos Island with some excellent post Byzantine icons and marble screens. There also some other nice churches; Agios Hryssostomos 1656, Theoskepasti 1663, Agia Paraskevi 1708, Theotokos Katapoliani 1685. Panagia Fanariotissa is a small church on the top of the mountain, 45 minutes walk from Apeiranthos. Zevgoli Tower is an impressive building since the 17th century and it is situated on a massive rock. Bardani Tower (or Sfortza - Kastri tower), is a nice tower which belonged to Kastri Family, one of the most powerful families of Naxos Island. Koronos is a worth a visit village, 34 kilometres away from Naxos Town and it is one of the most beautiful villages on the island. It is a stepped village, scrabbling up two opposite mountain sides and renowned for its emery mines. The Olive Oil Museum in Koronos exhibits the equipment and man powered machinery used to extract the oil in past years. There are some excellent taverns in the village. The locals are very friendly and the visitor is always welcome and easy blend with them. The village can be approached via Apeiranthos to the north of the island. Apollon is further north of Koronos. 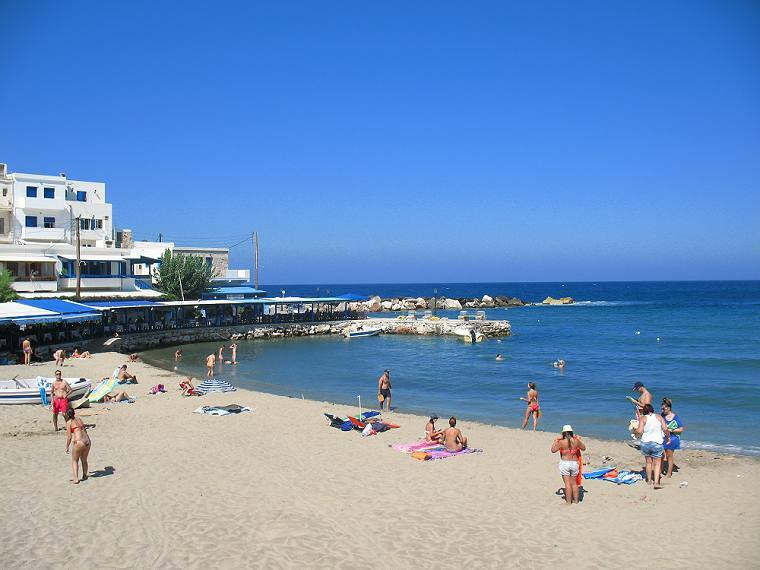 It is a very picturesque fishing village with a bay with sand and a longer bay with pebbles. There are plenty of taverns and restaurants and the sight is Kouros statue.